Parts Is Parts Unless It’s Velo Bling - Ski. Play. Live. 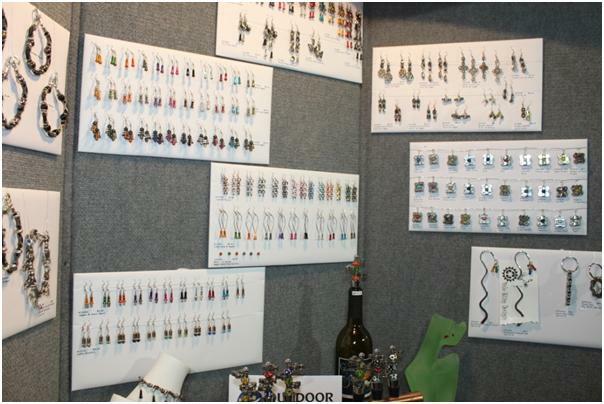 Ok, I must be a total girl because one of the coolest things I saw at the 2012 Summer OR Show was an assortment of jewelry made from bike parts! 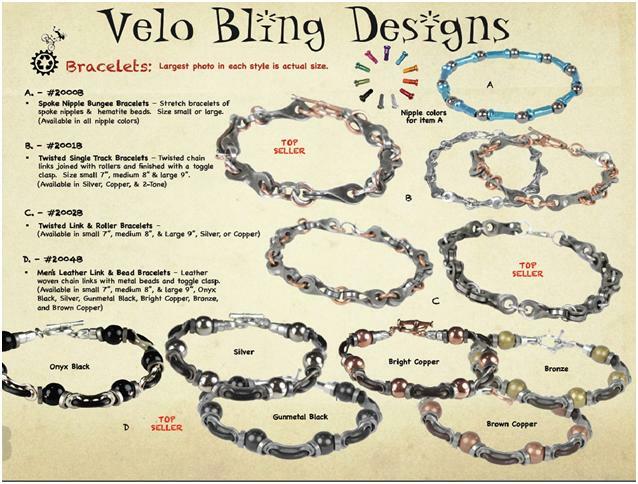 The Velo Bling booth was tucked inside the “New Pavilion”. Not exactly the optimal location but somehow this bounty of repurposing grabbed my attention. 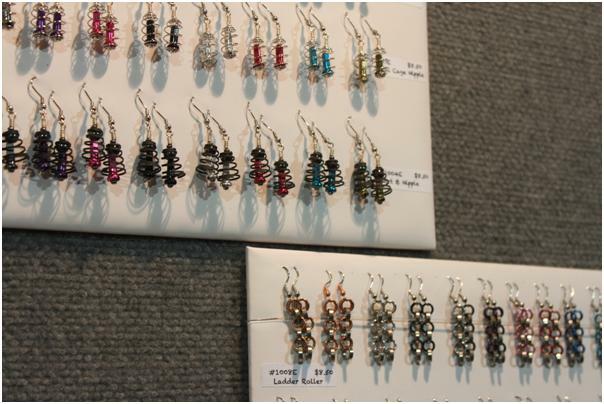 It took me a few seconds to realize that the earrings and necklaces I was eyeing were made of new and recycled bicycle parts. The designer, Ed Dunne, is a huge bike enthusiast in Lakewood, Colo., and the items are not only cool but affordable; something you don’t always find in the ‘original’ art world. Dunne and crew gather every recycled part from local bike shops. They polish them up with environmentally friendly degreasers and cleaners and put them together in all sorts of fun, funky ways. 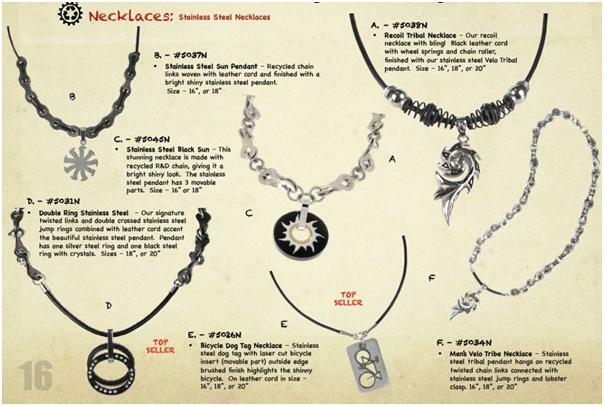 The jewelry, clocks, art, accessories, and novelty items would make the most awesome gift for any rider. I don’t think the pieces have found a home yet in Utah so you’ll have to find them in shops in Colorado or online.